Are you a voracious reader? Or do you read occasionally? Like maybe when you go on vacation or are waiting in a long line? I like to read, but I am a slow reader. Mostly because I read in bed at night and usually only get through a couple of pages before I fall asleep! But I did do some reading this summer (in between Netflix binges). 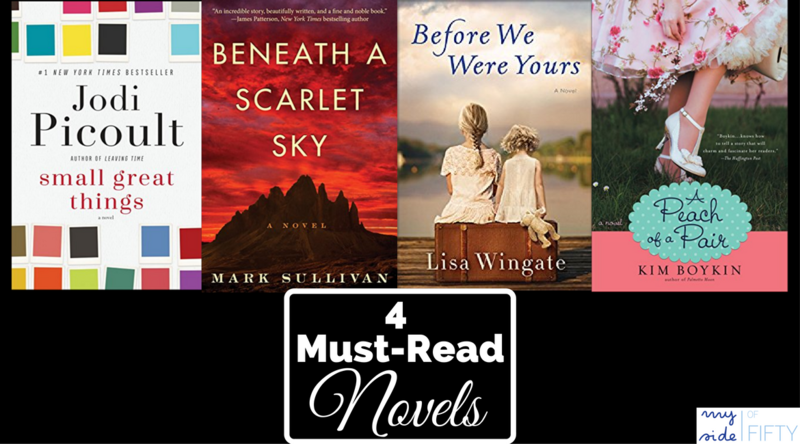 Here are my Four Must-Read Novels of Summer 2017. This is the story of Nettie Gilbert, a talented pianist and great student in her senior year at a small all-girls college in South Carolina. She’s engaged to her longtime boyfriend, Brooks, who is back home in Alabama. Until….she receives a wedding invitation to her sister’s wedding and finds that the groom to be is her fiancé, Brooks!!! It turns out her sister is pregnant and Nettie is expected, in true Southern fashion to attend the wedding, mind her manners and let bygones be bygones. She isn’t having it and promptly quits school, writes off her family and seeks employment so that she can support herself. She finds a job several hundred miles away as a live-in caretaker to two elderly, “ old-maid” sisters who have their own secrets and history. Why I liked it: As the story unravels there are lots unexpected twists. You already know Nettie’s story, but throughout the book, little bits & pieces of the sisters’ story are also revealed. I was reminded how petty jealousy and the acts that it produces can lead to a lifetime of hurt and estrangement. On the upside – there is romance with a handsome doctor and the ending is quite uplifting. 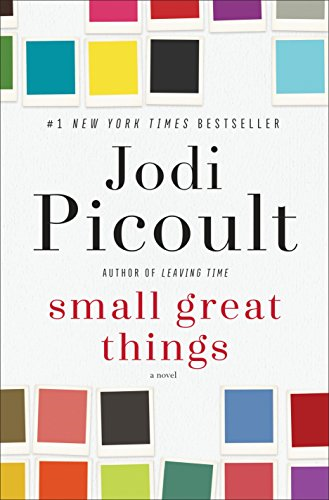 If you are a fan of Jodi Picoult and her way of telling a story that highlights the moral dilemmas we face, you’ll like Small Great Things. This is the story of Ruth, a labor and delivery nurse and a large metropolitan hospital. After a routine check of a newborn and his mother, she learns that she is no longer allowed to treat those particular patients. Why? Because she is African American and the parents of the baby are white supremacists. The father has specifically requested that Ruth not be allowed to touch either his wife or his son. Later that day, the baby dies and Ruth is charged with murder. I read this book in early June and while I have always thought that Jodi Picoult is a great story teller, I thought her description of the whole white supremacy and racism thing was a little over the top…until Charleston. Oh, my goodness – she hit the nail right on the head. Why I liked it: Picoult’s story offers a deep look at the white supremacy movement, what fuels them and how they operate. It is a world that I didn’t have a clue about! You also see how hard it can be to actually get justice in the criminal justice system and people’s resistance to discussing race – even when racism is so obvious. They are making this book into a movie! Read the book first. Do you like TRUE stories told in an engaging fashion? Then you’ll like these next two books. Set in 1939, 12-year-old Rill Foster and her siblings are kidnapped from the shanty boat where they lived with their parents and placed in an orphanage. The Tennessee “orphanage” is a place ruled by an unscrupulous and cruel director and is actually a front for the business of kidnapping children and selling them to wealthy couples. What we would call human trafficking today. This is the story of how Rill fights hard to keep her siblings safe and together. The present-day parallel story involves Avery, a federal prosecutor who was born into wealth and privilege. When she comes home to help her father through a health crisis, she discovers things in her family history that could devastate everyone involved. 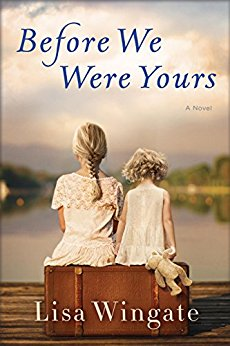 Why I liked it: I have to tell you, it was heart-wrenching to read at times because it’s based on the real-life scandal of Georgia Tann, the director of a Memphis-based “adoption” home who kidnapped and sold children to wealthy families from the 1920’s to the 1950’s. Y’all, I was born in the 1950’s! This is not something that happened so very long ago! 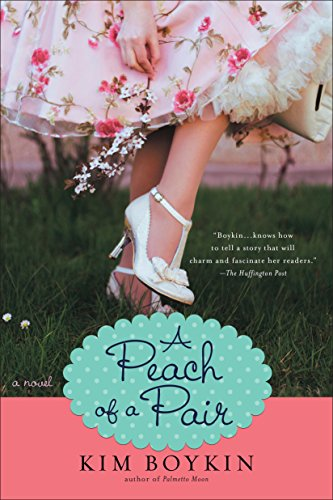 And it is certainly a page-turner as you are always wondering how Rill will keep her family together and how it would some way be connected to Avery’s story. This is a true story of Pino Lella, who becomes part of the Italian resistance during World War II. Although he HATES the Nazis, his parents urge him to join the German military to keep him safe from the Nazis. He ultimately becomes the driver for one of the most powerful Nazi commanders, General Hans Leyers, putting him in a strategic position to help the Italian resistance. 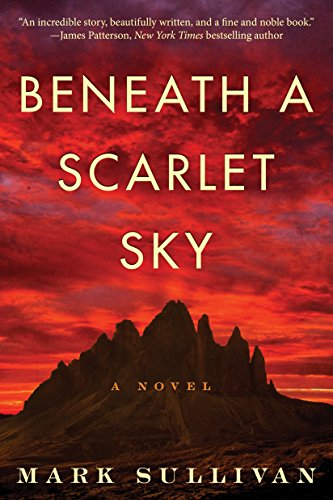 Why I liked it: I’ve read a lot of novels set during World War II, but none of them centered around what was going on in Italy and what the Italians endured. Seeing how the Italian resistance operated was so interesting. And the bravery of Pino and so many others is inspiring. The novel ends at the end of World War II, but there is an epilogue where Sullivan tells you what happened to these real people after the war. This one is going to be made into a movie too! There you have it! My Four Must-Read Novels of Summer 2017. What are you reading? Pin this post so it’s handy the next time you’re looking for a good book to read! Thanks for the suggestions, Cathy! Now that I am retired, I have returned to my childhood pleasure of reading. I love the audiobooks also – I can do housework and get lost in a wonderful story. I frequently check-out audiobooks from the library. Love them! I just finished Before We Were Yours. It was such a great book. I couldn’t believe that events like this actually happened to children. It was such a sad story but a great read! I also recently read Small Great Things. Loved that one, too! I’ll have to check out the other books. I really enjoyed your post Cathy and am looking for some new books to read. Thanks for the tips! Great suggestions! I need to get a few audiobooks so I can read when I’m cleaning! LOVE this..thank for the reviews! 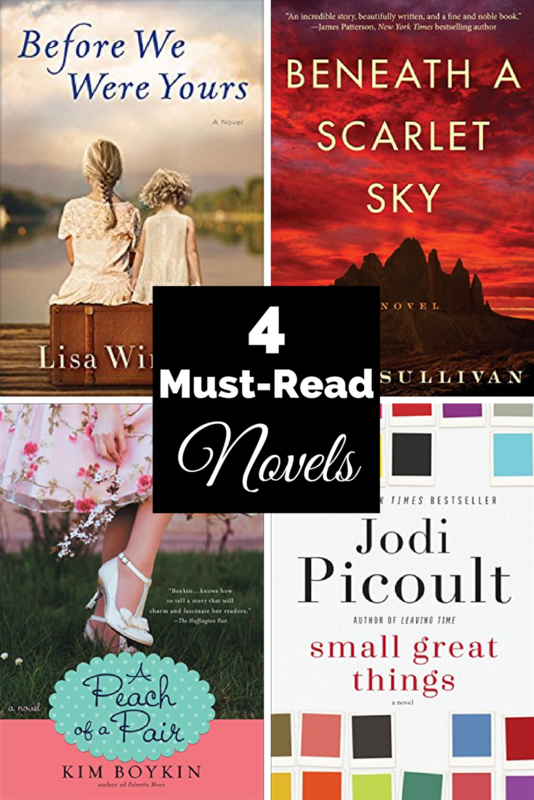 I’m a huge fan of Jodie Picoult, Cathy, and I’ve read all of her books. I haven’t read the other three you have suggested so will be checking them out. I can spend hours reading! Thanks for sharing at #BloggersPitStop.